Urad dal palak. As the name indicates, it is a lentil curry that is prepared using split black lentils and spinach. I stumbled on this humble and fuss free recipe in Ruchi Mehta's Punjabi Khana. I have always used moong or masoor dal to make currys. But when I saw that this recipe used Urad dal, I could not resist trying out this out. The result was a simple yet creamy delectable dal that goes great with either rice or rotis. Wash and pressure cook the dal along with the chopped spinach for 4-5 whistles till done. Once they turn brown, add the onion and fry till transparent. Add the chopped tomatoes and fry for a min. stir in the cooked dal and spinach mixture and mix well. Add about half cup of water, kasoori methi and garam masala to the dal and simmer on a low flame for 5min. Take off the heat. Garnish with coriander leaves and butter and serve hot with rice or rotis. Today, I woke to the fact that I have become a little too lazy or buzy in accepting the awards that has been so lovingly passed over to me by my loving blogger friends. 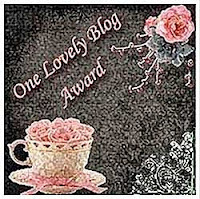 I would want to accept all of these awards today and share with all of my well deserving blogging friends. 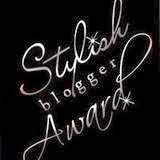 And last but not the least, I have been conferred the "Lovely blog award" by tahemeem and Priya and "the stylish blog award by Priya. Thanks a lot guys!!! Very healthy side dish! So nice and awesome! That's one healthy and tasty daal...would be perfect accompaniment with hot parathas. Congrats for your awards. Urad dal palak looks amazing. Great preparation. THick dal looks super inviting and delicious...prefect side dish for rotis..
you wouldn't believe i was thinking how do I use my de-skinned urad dhal this ia saviour! looks fab!! 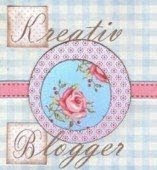 thanks for stopping by my blog and for ur words of appreciation! 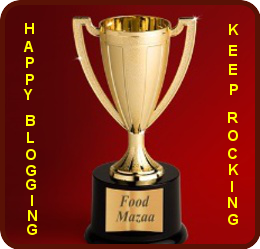 I like the avalanche analogy :) Congrats dear on your well deserved awards :) And the dal seems extremely flavorful with all those wonderful ingredients going into it! Haven't used urad dhal in gravies.. looks so creamy and delish! Yum! I m drooling.Never added spinach to urad dal.Sounds a good idea. One of the few things I can make (and can eat with few side effects) is dal. I love it! I've never had this type though so thank you for sharing this recipe. Adding spinach is a brilliant idea! very healthy curry.palak and urad dal. Now that is something new which I need to bookmark- sounds like a delightful combo! yummy recipe and sensational clicks. Cograts on the awards. u totally deserve all these awards .. such a fantastic space you have! That daal looks very tasty with all the spice combination you used. Nice and unique combo! Never tried this way! Yummy! 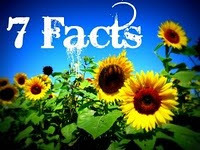 7 times congrats for all the lovely awards. you most certainly deserve it. it is the greatest mother's day gift any daughter can give.